Our TX3 Sahara Roof Rails really enhance your VW T6 Van or Caravelle! Does not fit any other Vehicle - Specially designed for the SWB T6 2015-on Models only. The price includes a pair of TX3 Sahara Roof Rails that fix to original mounting points on the Roof. (Cross Bars are not included in the price) These are a NON DRILL product. Our Roof Rail Sets are tough Aluminium with a Black Anodised OEM finish. These are better quality than many Roof Rails. TX3 Sahara are are our best grade and have Dealer Fit Quality. Engineered to fit all VW T6 2015-on SWB Models. Excellent Quality Aluminium with a Black Anodised OEM Finish, Precision engineering, Ready to Fix! *Price does NOT include Diamond Crossbars (Sold Separately)! *Does NOT fit LWB or other models if in doubt please feel free to call our sales team who will be happy to assist! 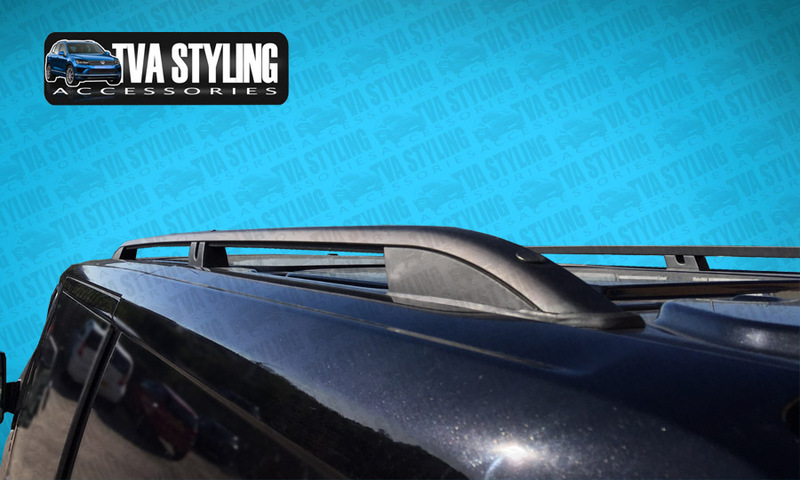 Click the button below to add the VW T6 SWB TX3 Black Sahara Roof Rails Set Easy Fit 2015-on to your wish list.